We’ve been working on a development in Chell Heath on behalf of Stoke on Trent City Council and Staffordshire Housing Association. 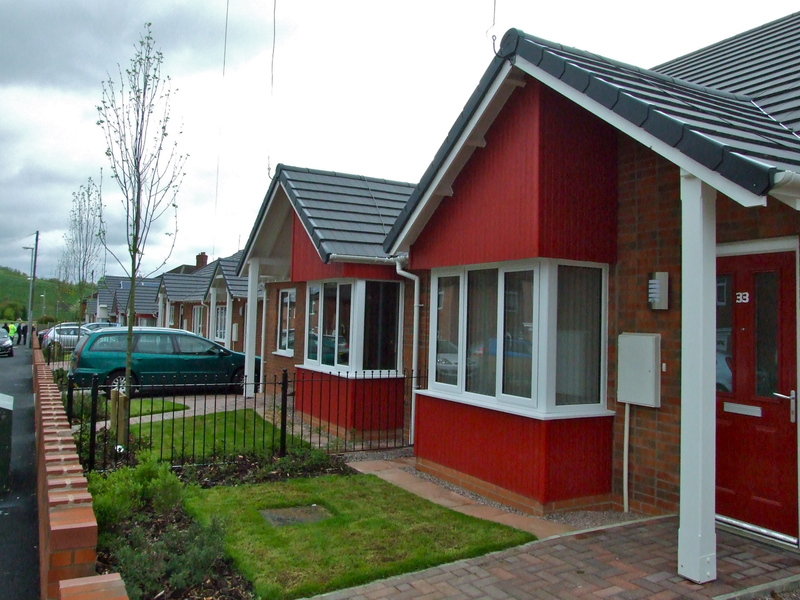 Planning approval for 17 purpose-built bungalows was secured in early 2010 and the £1.5m development was delivered under a Design & Build Contract by Seddon Construction. Designed for elderly and disabled residents, these are the first homes to be built by Stoke-on-Trent City Council in 30 years. We went along to the official Open Day at Warren Road earlier this month and spoke to some of the new residents, wheelchair users, who praised their new home for being warm, comfortable and spacious. … Stephen and Hannah Lowe, and their 16-year-old son Josh, who uses a wheelchair and has hypoplastic anaemia from inadequately functioning bone marrow, are thrilled with their new home. The project is now complete, all homes have been let and the last of the new tenants will be moving in over the next few weeks. A communal garden has been created for residents and the south-facing rears allowed us to include PV panels. Overall, the scheme delivers Code for Sustainable Homes Level 4. More photos of the Warren Road scheme can be found over on our Flickr photostream.